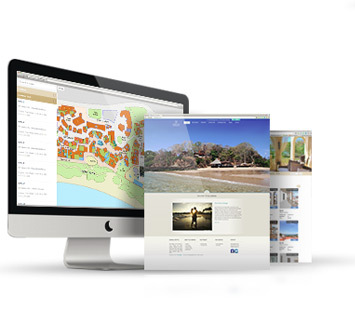 Our web-based marketing, sales and property listing management system is tailored to the unique needs of real estate professionals. Gain maximum global exposure and enjoy automatic listing agreements with a large network of real estate professionals. Utilize tools that truly aid your marketing and sales efforts with tremendous time savings. 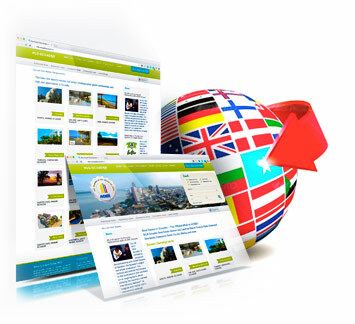 Get instant exposure in all relevant languages via our worldwide network of professionals and leading real estate websites. Gain access to a network of local and global distribution channels ranging from sales and referral agents, syndication sites (i.e. realtor.com, olx.com) to alliance partners (i.e. Homes4 Global Alliance). Benefit from sales operations in Brazil, USA, China, Russia, Japan, Germany, France, UK, Italy, Ecuador, Costa Rica, Nicaragua, and Panama. Mobile Ready - "anywhere any time add, edit, view, share listings"
UserFriendly Web-Interface "listing management made easy"
Flyer/PDF Generator "store, present, & share property info in seconds"
Text Generation - Auto-describe and Translate "immediately reach a global audience"
Advanced Websites that integrate directly with the MLS and Developer Tools, so you can easily manage your listings in a single location and custom import properties directly into your webpage. Interactive Project Maps give your customers an interactive experience and let them gain better insight in your real estate developments. Propertyshelf's offers extremely affordable rates while providing the best listing publicity on the market. Close on properties through the leads you are likely to receive from Propertyshelf, and you will have earned 20 - 50 time the return on your investment. Market your Properties through numerous marketing channels. Propertyshelf is a community of like - minded real estate professionals that have committed to a higher ethical standard, and who have discovered that they can earn more money cooperating than competing. Each MLS acts as a localized community, with automatic listing agreements with real estate broker and referral agent networks from around the world enjoying the right to send you clients. We take pride in our ability to help our clients bridge cultural and linguist barriers. 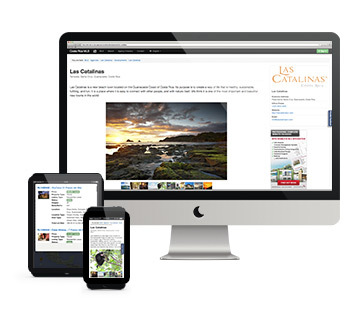 Our software generates grammatically correct and unique titles and descriptions for each property in multiple languages. Our language center partners help you communicate with non-English speaking buyers, around the world and in your local market. Now there's a platform which allows you to manage your listings and client files in one easy location. With the best properties on the market at your fingertips, finding the properties that are right for your clients has never been easier. In addition to connecting you with hundreds of local and international agents, Propertyshelf exports listings to a wide network of leading real estate websites, ranging from online classified sites like OLX, International Marketing and Sales Service Partners like the HOMES4 network of international sites tailored to multilingual clients. We also work with third party sites like REALTOR.com and IMMOBEL. Receive more quality leads thanks to casting a wider net globally. Propertyshelf offers websites that integrate directly with the MLS tools, so you can easily manage your listing in a single location and export them directly to your personal page. Our Website package includes hosting, email, and daily backups for a competitive price, with the very best Search Engine Optimization (SEO) available. Whether you're looking for a top tier enterprise solution, or your own little corner of the web. Propertyshelf offers solutions for all budgets. "I have put several properties in MLS-Ecuador and had received several requests from customers who wanted information. Six weeks ago, we closed the first sale to a customer captured through the MLS, a house in the Cumbayá area which sold for $460,000.00." "I work as an independent real estate agent, and can attest and testify that the service provided by MLS-CR, since its inception in the country, has given me a great working tool and a in combination with their websites i have a powerful tool of advertising my properties nationally and internationally. Their customer support likewise has consistently given me guidance and instruction. They are patient, prompt, and proactive, teaching step by step." "Since joining the Ecuador MLS service in 2013, our company has generated over $ 1,000,000 in gross sales. The dual language feature as well as customizable languages has helped our clients enormously. The service is continually upgrading user-friendly enhancements to make the listing experience easier, faster and better. The Ecuador MLS service has opened up important markets that we would not otherwise have. Thanks to the great team at Propertyshelf, this service is exactly what has been needed in Ecuador for a long time!"